While some states are considered no-fault states and other states are considered tort states, a few give drivers the option of selecting either full-tort or limited-tort coverage. Which one you chose will impact when you can file a lawsuit against another driver and how you file your claim. In this article, we’ll discuss the finer points of Pennsylvania law as it pertains to car accidents and how you should proceed depending on what kind of insurance you have. Anyone who drives a motor vehicle is required to carry car insurance in Pennsylvania. They have the choice, however, of what kind of insurance they can carry. They can carry “no-fault” or “limited tort” insurance, or they can carry “full tort” or tort insurance. Limited tort or no-fault insurance is also known as a PIP (personal injury protection) policy. It, essentially, pays out regardless of who is at fault but your recovery is limited to expenses related to your accident. 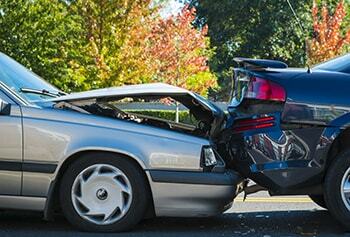 A tort policy requires you to make a claim against the other driver’s insurance policy. The rules for recovery are stiffer but you can potentially recover more than just economic damages if you’re successful. If you are in a car accident and you have a PIP or no-fault policy, your first order of business is to file a claim with your insurance company. Under a PIP policy, it doesn’t matter who caused the accident. You can still file a claim even if you’re 100% to blame. And any other expenses related to the accident. In most cases, you will only be able to recover a percentage of your lost wages—not the full amount. This number is usually around 60%. The catch is that you can only collect for these damages as a percentage of the other driver’s fault. For instance, let’s say you have $100,000 in damages but you are 40% responsible for the accident. That means the other driver is 60% responsible for the accident, therefore the driver is only responsible for 60% of your total damages or $60,000. In addition, you will be barred from filing suit against the other driver if your amount of fault is greater than the other driver’s amount of fault. This is known as a “modified” comparative fault rule. Lastly, these rules only apply to personal injury and not property damage. Property damage can be pursued in court without restrictions. Can I Sue the Other Driver if I Have Limited-Tort Insurance? You can sue another driver, but only as circumstances permit. For instance, you must be able to demonstrate that your injuries were “serious” enough to warrant pursuing damages against the other driver. In cases where you have sustained some serious impairment, even if it is temporary, to your body or you have sustained a permanent injury, you are allowed to sue the other driver for damages. At the very least, you will need to have broken a bone to qualify for a tort action on a limited tort policy. You can also pursue damages such as pain and suffering, loss of enjoyment, and other non-economic damages. However, each policy may define what constitutes a “serious injury” differently, so it’s important to read your policy before pursuing a tort action on a limited-tort policy. Car accidents happen most frequently because one or the other driver violated some traffic rule. This could mean failing to yield the right of way, speeding, or making unsafe lane changes without checking blind spots. In these cases, it is very easy to determine fault. In other cases, it might not be as easy. For instance, everyone thinks that if you rear-end another driver, then you are automatically at fault for the accident. In a comparative negligence state, no one is every automatically 100% at fault. For instance, if the other driver stopped suddenly and, therefore, made the accident much more likely, then they are going to be held partially liable for that accident. This could reduce the amount of money they can collect from the other party as a result of their actions. Additionally, if a driver’s brake lights are out, this can also make it more difficult for another driver to realize the need to stop. So there are no “sure things” when it comes to traffic law in Pennsylvania. And auto accident lawyer in Philadelphia can help you make your case. Insurance companies and their adjusters are not the easiest folks in the world to deal with. Sometimes making a simple claim on your own policy can be much more difficult than it should be. The attorneys at PhillyLaw have the experience to deal with insurance claims adjusters and understand their method of negotiation. Our job is to maximize your claim to ensure you can recover as much in damages as possible under the terms of your policy. If you’re filing a tort claim against a negligent driver, you will need to ensure that there is as much evidence as possible to back your claim. Insurance companies will not simply cut you a check because you have a sympathetic story. They will interpret the evidence against you and exploit ambiguities in the evidence to deny your claim. The attorneys at PhillyLaw can help. Please give us a call or talk to us online today. Were You Recently Involved in a Car Accident in Philadelphia?